It’s that time of year again when I break out the calculator and start crunching numbers– for the sake of bookishness, of course! In 2015 I surpassed my initial Goodreads goal of 24 books by reading 56 books, which amounts to a total of 17,740 pages read. If you’d like to check out my Goodreads Year in Books you can do so by clicking here. 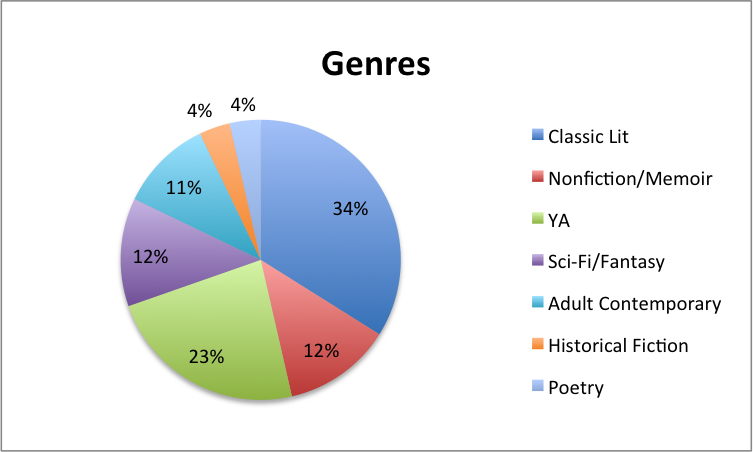 Last year I created a bunch of different categories and graphs that I compiled into a reading statistics post, so I figured that I would do it this year as well. It’s interesting to see how the two years compare, especially since I feel as though my reading taste has changed significantly since the beginning of 2014. Without further ado, let’s take a look at those numbers! Last year I noticed that I rated a large amount of the books I read 5 smileys. There isn’t a problem with giving a lot of books high ratings, but I felt as though not all of those books truly deserved 5 smileys. This year I decided to change my rating system a bit to make 3 smileys represent an average book and to reserve 5 smileys for books that were AMAZING. 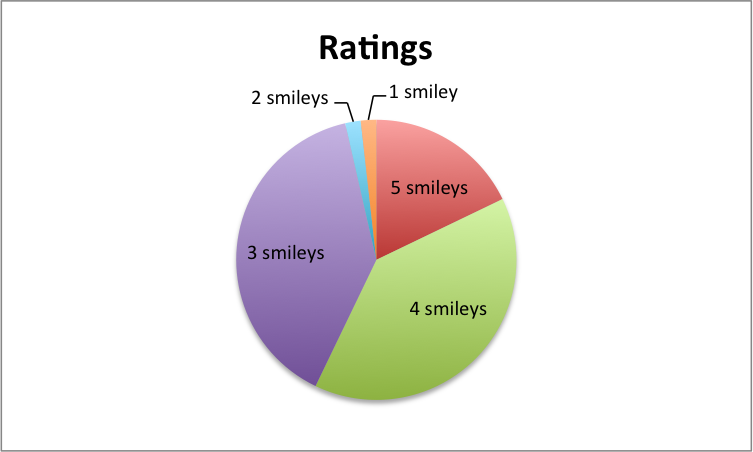 I’m glad to see that this new rating system seems to be working better, because the 5 smileys portion of the graph is a much more realistic size. I enjoyed the majority of books I read this year, which is all any book lover can ask for! It’s been a goal of mine for quite some time to read more of the books I own so I can cut down my towering physical TBR pile a bit. Judging by this graph, it looks like I did an okay job with fulfilling that goal in 2015. Many of the books I had to read for school were rented and borrowed as well, which may have inflated that percentage a tad. Hopefully I can keep this up in 2016! There’s been a lot of buzz lately about female representation in the media (and the world in general) so I thought it would be interesting to see how many books I read by female authors in comparison to males. 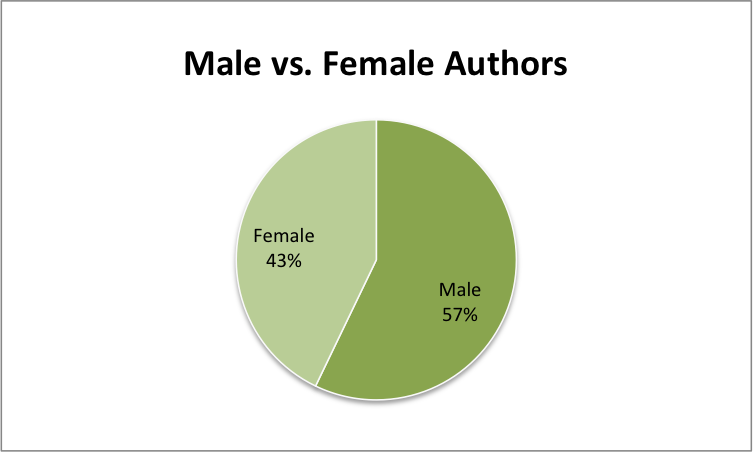 Although the percentage of male authors is higher than females, it is a lot more balanced than I thought it would be. Out of all of these graphs, this one surprised me the most! 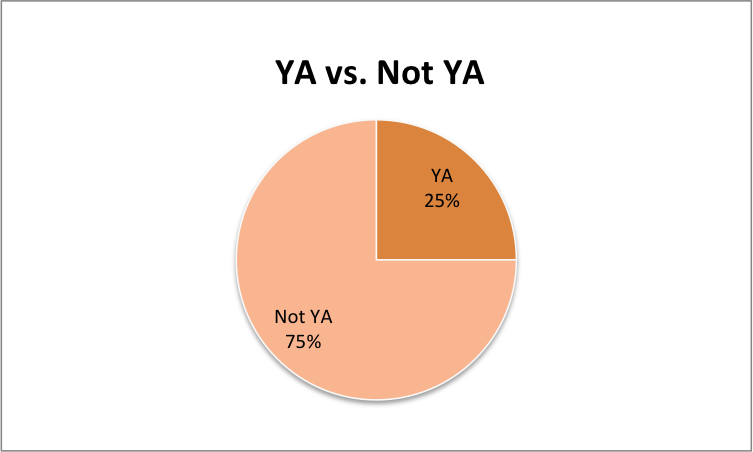 In 2014 this graph was nearly split in half (53% YA, 47% not YA) but now the vast majority of what I read isn’t YA. Not only is this due to a change in my reading tastes, but it is also because of the books I am assigned to read for school. This isn’t a bad thing– it just means that my reading tastes have changed significantly since last year. I’m so happy to see that about a third of the books I read in 2015 were classics! I’ve been really enjoying classic literature lately, which I think is nicely reflected in this graph. Even though I would like to increase the amount of nonfiction and memoirs I read, I am still incredibly pleased with these results. 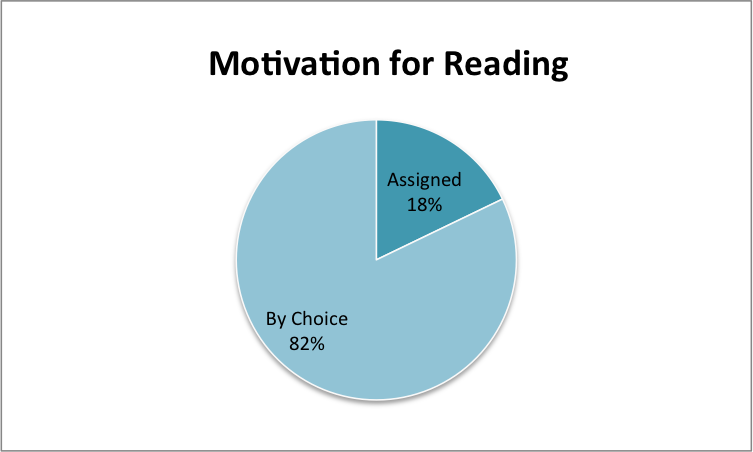 Just out of curiosity, I decided to add a graph about my motivation for reading, meaning that I would be comparing the number of books I read for pleasure with the number of books I’m assigned to read for classes. I honestly expected the assigned books percentage to be larger than it actually is– I guess it just feels that way! And there you have it! I’m very pleased with these statistics and with the reading I was able to accomplish in 2015. Hopefully 2016 can be just as great! 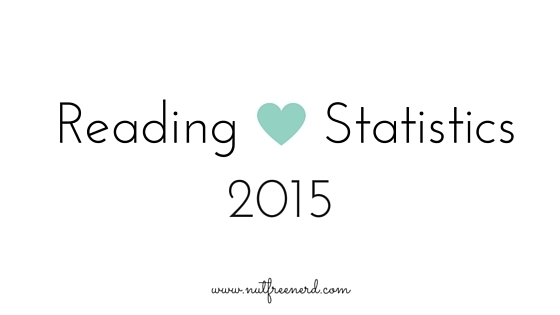 Was 2015 a good reading year for you? How does it compare with past years? What do you think of my reading statistics? Are there any categories you wish I had included? Let me know in the comments section below! Yay I love this debunking business (it’s so fun to crunch numbers sometimes is it not?). You, Holly, are a classics whizz! It’s brilliant that you’ve been reading so much this year (and most of it not assigned, which when it comes to classics is fantastic!). Your reviews are also very eloquent (they’re one of the few reviews I actually read top to bottom without skimming) and I CAN’T WAIT for what this year will bring! Aww thanks so much! I really appreciate you taking the time to read them! 🙂 Happy New Year, and I hope 2016 is a great one! I love seeing statistics like this in wrap-ups, they’re super interesting! I read a lot more books this year than in previous years. I think if I did these statistics my female to male author ratio would be 10:1 at least. 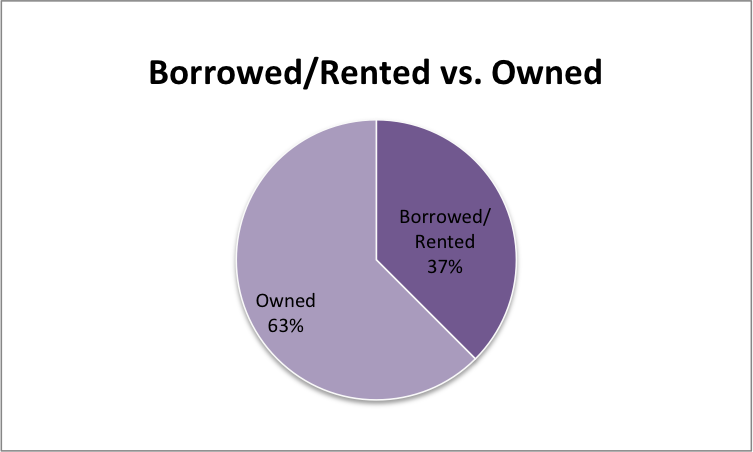 Same with my owned to borrowed ratio. I could probably improve on that too. Overall, your graphs are quite balanced and it’s really interesting to see your tastes change from just YA. Enjoy your reading in 2016!